Consumer-driven health plans offer significant potential savings and value employees want. But after a decade of watching enrollment rise an average of about 3% annually, we saw growth slow to nearly a standstill last year. 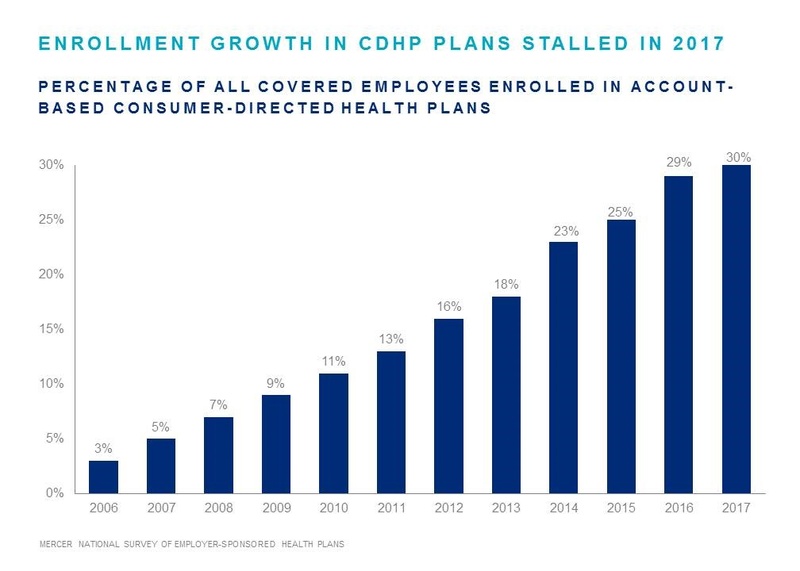 The question is, what can employers do to boost enrollment in CDHP and leverage successful consumer empowerment strategies within their company? A recent Employee Benefit Adviser article describes six best practices for employers. Among the suggestions, it says employers should encourage disruption to prevent the natural tendency of employees to roll over their current-year benefit selection. Prompting employees—through incentives or otherwise—to review their options and ensure they’re choosing the right plan for their needs can help drive CDHP adoption. An effective communications strategy will provide the knowledge and resources employees need to feel confident in their choices. Company executives can help focus attention and keep consumer-driven health plans in the conversation by sending frequent communications and sharing their personal experiences. Consumer driven health plans can reduce costs for employers and give employees more power and control over their healthcare spending. Read on to learn more best practices for raising your CDHP enrollment.